Costs – Learn more about the cost tree removal and maintenance in Brampton, Ontario. FAQs – Which trees are you considering for your yard in Brampton? Do you know what diseases to be aware of or regulations for the city? Read more and be informed before planting season starts. Services – Call in a local arborist for more information or to get started on your trees immediately. How Much Do Tree Services Cost in Brampton? For homeowners and land owners in Brampton who want to keep their yards looking green and healthy, it’s important to understand the various costs for a variety of tree services in the area. Landscape maintenance on a property might include tree removal and stump removal as well as tree trimming, pruning and cutting. The exact species of a tree could affect how much you will have to pay while height, electric power lines and stump grinding or removal can push costs higher. On average, it is estimated that you will need to spend around $430 to $600 for tree removal in Brampton, though costs can range anywhere from $170 at the minimum to $960. The cost of stump removal all depends on how large a particular stump is. In regards to a medium-sized stump, grinding and removing a stump can cost between $75 and $140 in Brampton, Ontario. The cost is factored due to a combination of labor and equipment. The grinding and removal of a large tree stump may cost between $80 and $140. Basic tree maintenance services such as trimming, pruning and cutting generally require a professional arborist for the job. These services will generally cost you around $375 to $575, although the price can range anywhere from $100 to $1,000 depending on what types of services need to be done. As part of the suburbs of Toronto, Brampton is home to many property owners whose landscapes contribute to the area’s greenery. If you are a homeowner looking for ways to better care for your current trees or are looking to plant new trees on your property, the following can help you with general maintenance practices regarding trees in Brampton, Ontario. The City of Brampton’s Urban Forestry Section is officially designated with the responsibility of planting trees in public places throughout the area. As Brampton is committed towards preserving local forests, there are a number of regulations and guidelines that you will need to follow if attempting to remove a tree from your property. This includes what the city calls the Brampton’s Tree Preservation By-Law, which protects all trees that are not within 5 meters of an occupied building and have not reached 40 centimeters in diameter. In regards to tree removal within Brampton, trees can only be removed if the city decides that it must be done, even for trees on public property. There are a few factors that determine whether a tree is considered for eligible for removal, including death, disease, damage to the point that the tree in question can no longer be repaired, interference with infrastructure within the city or if the tree is deemed to be an undesirable species. If you are considering removing a tree from your property, the best time to do so is in the early spring months, particularly March and April. The summer months are also recommended. As for general maintenance, the ease at which this can be done depends heavily on which type of tree you are looking to maintain. 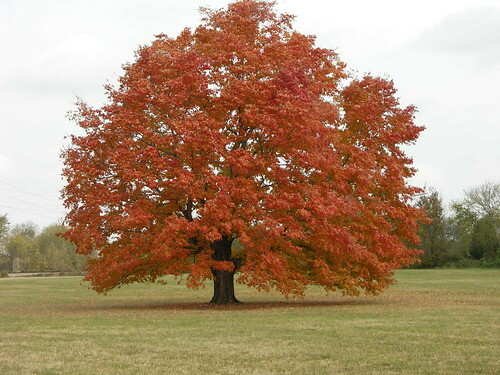 The most difficult tree to maintain would likely be any tree of the maple variety, specifically red maple and sugar maple trees, because they are most susceptible to many of the most common tree diseases in Ontario. If these trees are on your property, you will have to look over and maintain them on a regular basis. There are five basic diseases that can spread through a variety of trees in the Brampton area: anthracnose, powdery mildew, apple scab and rust, leaf scorch and tar spot. Apple Scab disease is the most dangerous of these, but it can be easily noticed due to the olive-green spots that appear on the leaves. Although they can cause severe damage if left unnoticed, the diseases that affect trees in Brampton are relatively easy to diagnose and treat. If you are planting a tree below overhead power lines, then you must ensure a few feet of space between the tree and those power lines. This can be determined by knowing how tall your tree will grow. 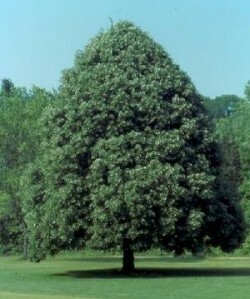 In Brampton, Ontario, the tallest trees are the sugar maple and little-leaf linden trees at around 35 meters tall, while the shortest tree is the ivory silk lilac tree at around 12 meters. The provincial tree for Ontario is the Eastern white pine. When considering a new tree for your property, you should look at planting species that will thrive in the Ontario climate. Trees that are easy to maintain in the area include the Eastern redbud, forest redbud Pansy, flowering dogwood, golden rain, sweetgum, weeping Japanese cherry and rose acacia. You are allowed to grow any kind of fruit tree that you wish in the city, but trees that do best include apple, pear, plum and peach.